Korean car maker Hyundai Motors has launched the special edition of its highly acclaimed hatchback Grand i10 in German car market codenamed as i10 Sport. According to sources of company the special edition has been offered to grab attention of young car enthusiasts. The Special Edition has been developed specifically for German car market and has been offered at EUR 13,990 (Rs. 11.4 lakh in Indian currency). To give the hatchback a sportier look car maker has made various cosmetic changes on the exteriors including LED daytime running lights, red and black decals across the body. The company has continued this combination of red and black decals inside the cabin. As far as greasy changes are concerned the i10 Sport Edition will continue the same four cylinder 1.2 litre petrol engine developing the power of 87 bhp and torque of 120 Nm. The engine is coated with five speed manual gearboxe forwarding the power to front wheels. It would be important to note that with an objective of promoting Grand i10 in European car market, the car maker had phased out its elder sibling i10 from market. 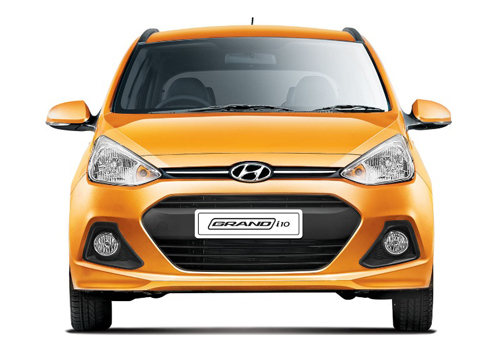 On the contrary Grand i10 has been promoted as the hatchback filling the bridge between its two sibling i10 and i20. The Grand i10 is developed retaining company’s fluidic design and embellishes various interesting features namely rear parking sensors, integrated music system will 1 GB internal memory, rear air conditioner vents, steering mounted audio controls and many more features. All these features succeed in delivering true value of money to buyers. 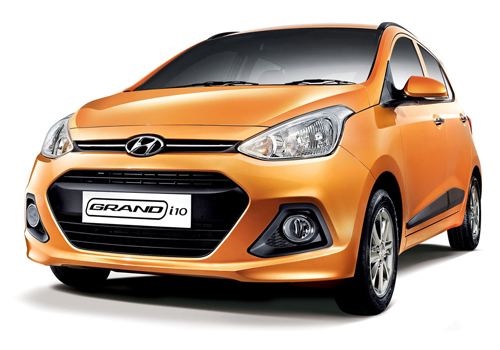 Click here to know more about the features offered in existing version of Grand i10 in Indian car market.